Merry Christmas from The Nadas! We would all like to take the time to say how very thankful we are for all the support of you, our fans. Without you, we would not be able to keep doing what we love to do. So, thank you, to each and every one of you, and we hope everyone has a very Merry Christmas and the happiest of New Years. The Nadas: The Ghosts Inside These Halls — The definition of “bar band” has a pic of these guys. More accessible than The Hold Steady and more straight up real. Nothing fancy here. It’s just good ol’ rock music meant for people who drink beer and still high-five. The Nadas play their last local show of 2009 Friday with their annual Nada Silent Night concert, a benefit for Toys for Tots. It’s the band’s sixth year putting on the show. We sat down with band members Jason Walsmith and Mike Butterworth to answer a few questions about the popular holiday show and their Christmas faves. DREAMING OF A GREEN CHRISTMAS: Each year the band tries to do something a little different with the show. This year they’re going for a green theme: printing fewer posters, focusing on digital press, and using recyclable wristbands for attendees and more efficient LED Christmas lights instead of regular ones. Decorations on stage are made from old cardboard boxes, and the silent auction before the event benefits green building projects for Habitat for Humanity. 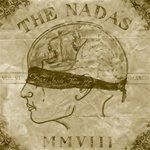 Authentic Records’ own The Nadas will be featured on WHO TV13′s 10PM newscast this Thursday, August 28; possible teasers will run on the 5 and 6PM newscasts. The segment is part of reporter Andy Fales’ “Iowa Icons” series. 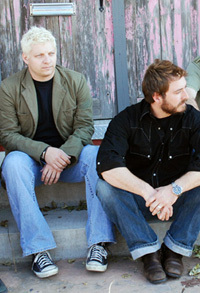 Fales did extensive interviews with the band and filmed an entire night at the Iowa State Fair. After the piece airs this Thursday it will be available for viewing on the WHO TV13 website. If you’re in central Iowa, be sure to tune to WHO this Thursday night for the 10PM newscast. And don’t forget to thank Andy for choosing The Nadas for this special feature. Transparency has become the promise of the digital age; everyone is broadcasting everything all of the time. So what happens when a band throws open the studio doors, stops being polite and starts getting real?